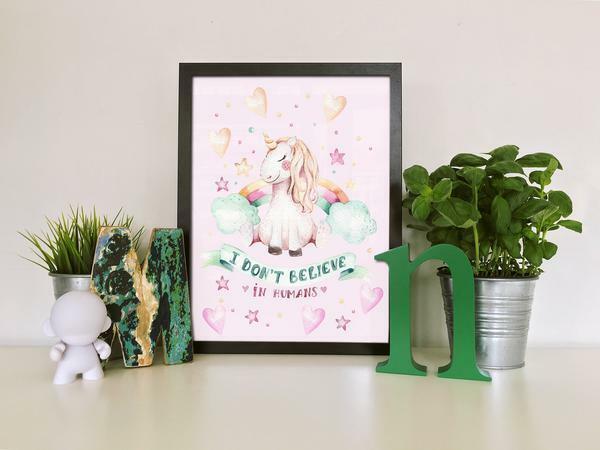 This cute and sweet unicorn art print, has the quote, "I don't believe in humans" and is light in color and surrounded by hearts and stars. This piece is perfect for a nursery, unicorn art wall! It will be appearing on other items throughout the shop so look for those coming!